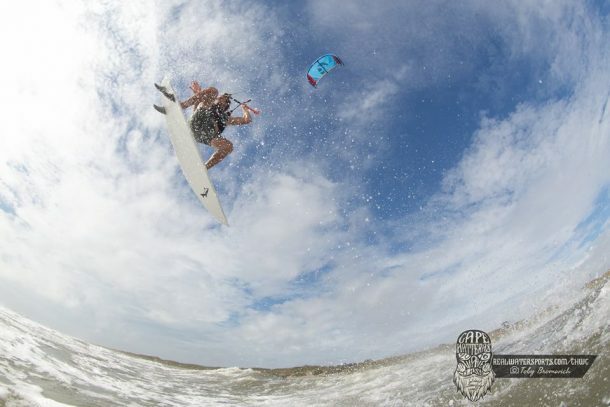 They call it the “Cape Hatteras Wave Classic” for a reason…. 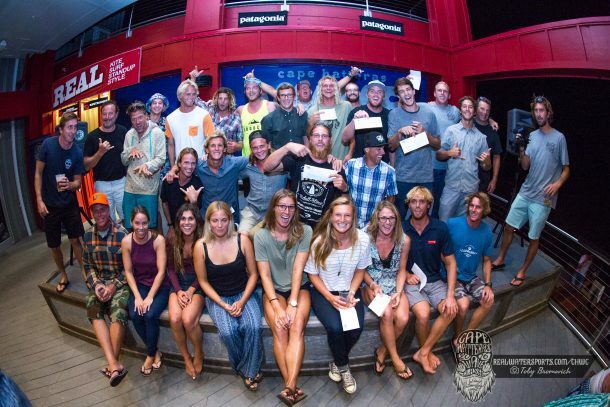 This event always revolves around the waves, and boy were they “classic” this year! 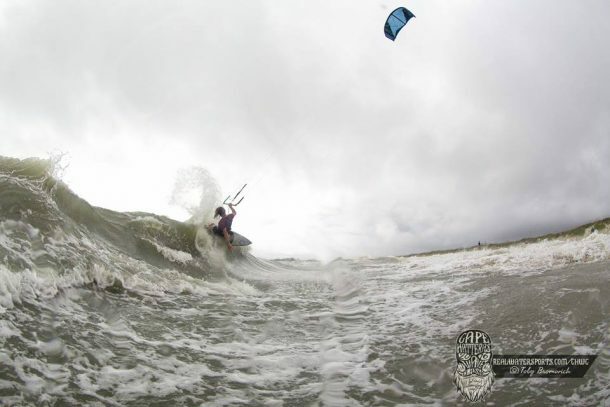 This talented group of kitesurfers converges on Cape Hatteras every year to charge the ocean no matter what the conditions. This year, we had a pretty bizarre hand of weather cards dealt to us, including two days of great wind that unfortunately never made it south into the permitted contest areas. You know what? It didn’t phase this group a bit. We had picture perfect surf all week, short periods of contestable kitesurf conditions and a solid day of onshore blitzkrieg in the Tri-Village. We rode longboards, fish, shortboards, softops,…even couches. All with and without a kite. In the end we made it to Competition Round 3 in the Men and completed Round 1 with the Women. Contest rules dictate an even prize purse distribution among these competitors. The 12 Men that made it to Round 3 each took home $326.09, while the 5 Women who completed Round 1 each took home $217.39. THANK YOU to all our 2016 Cape Hatteras Wave Classic competitors, spectators, staff and sponsors who helped make this event so fun and full of stoke. Next year’s event is schedule for September 16-22, 2017 in Cape Hatteras, North Carolina. See you there! Round 3 Men included: Billy Ackerman, Evan Netsch, Chris Shenton, Mark Miedema, Jason Slezak, Brandon Cordina, Luke Johnson, Patri Mclaughlin, Esben Boxer, Reider Decker, Davey Blair, and Danny Barnette. Round 1 Women included Gage Fichter, Jessie Kilgour, Kate Johnson, Emily Reich and Jenna Dockray.